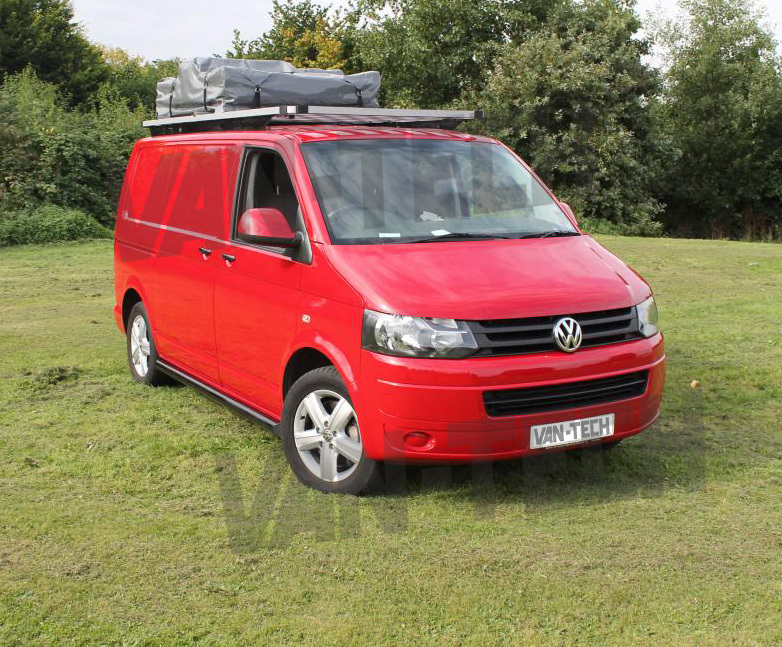 VW T5 Transporter Camper Van Bus Aluminium Explorer Roof Rack. 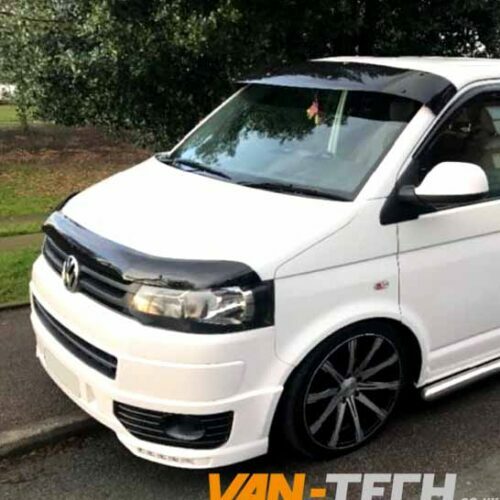 Aluminium Heavy Duty Light Weight Roof Rack for Volkswagen T5 Transporter SWB Only (All Models) these light weight heavy duty aluminium roof racks are designed to carry heavy loads with ease and efficiency. These safari-proven roof racks have excellent wind cheating design and offer minimum wind noise and maximum fuel efficiency. 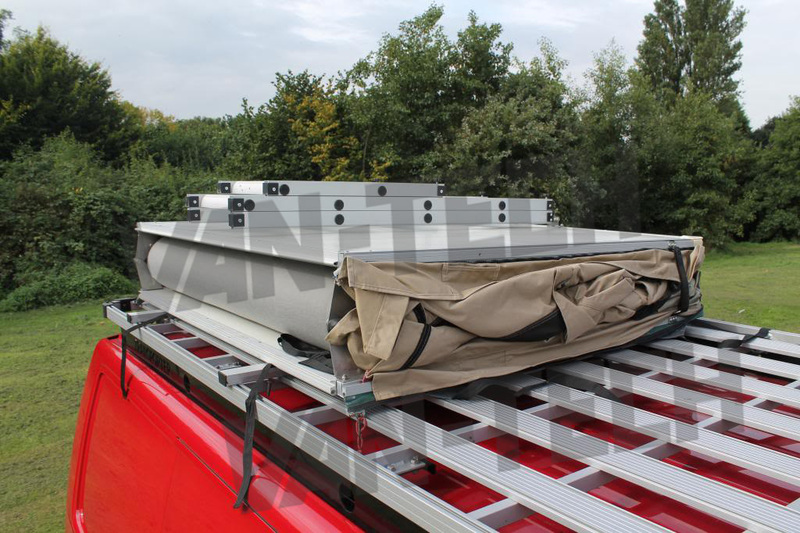 Roof racks are brand new, foam wrapped and boxed with fitting instructions. 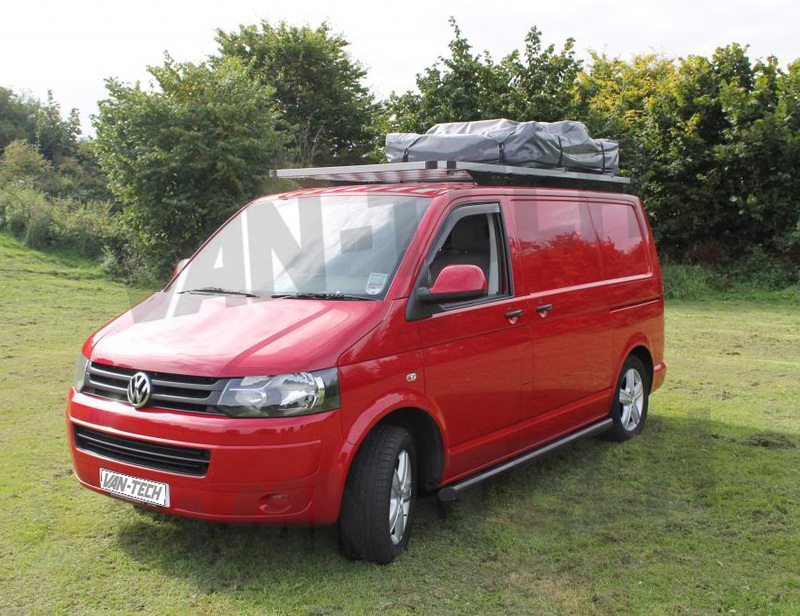 DUE TO THE SIZE OF THESE ROOF RACKS THEY ARE AVAILABLE FOR COLLECTION ONLY. 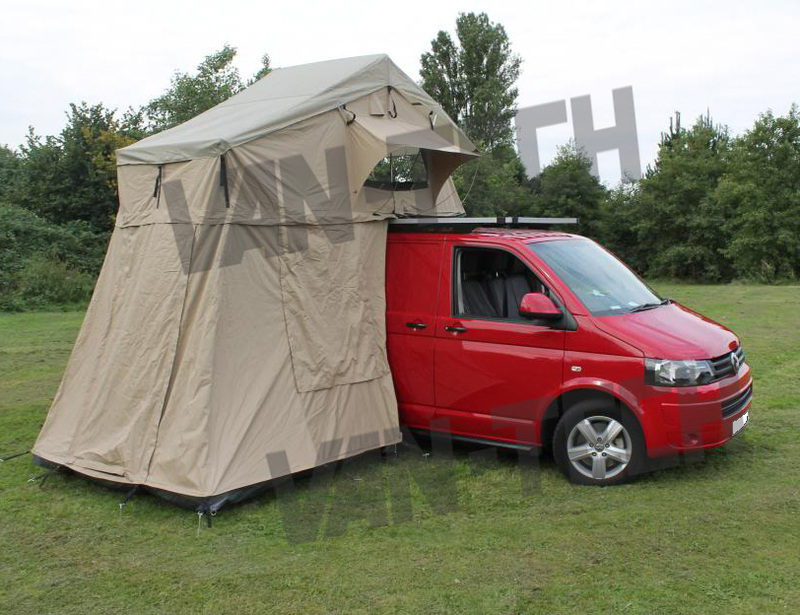 Images are for demonstration only SALE PRICE IS FOR THE ROOF RACK ONLY TENT IS NOT INCLUDED. 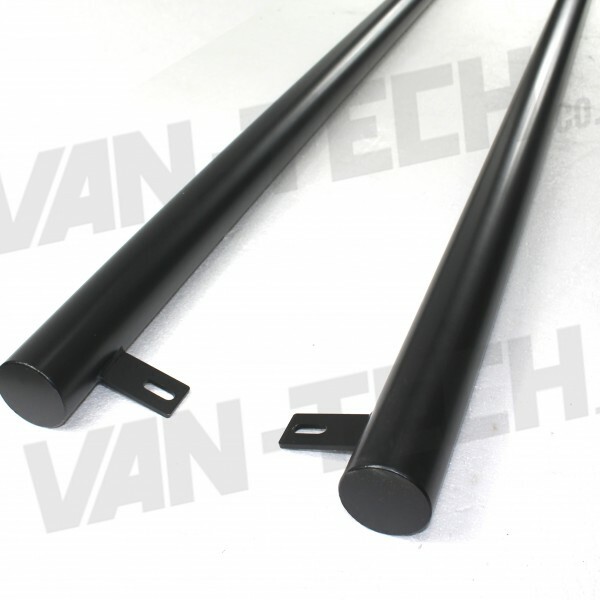 Solid construction for serious strength. 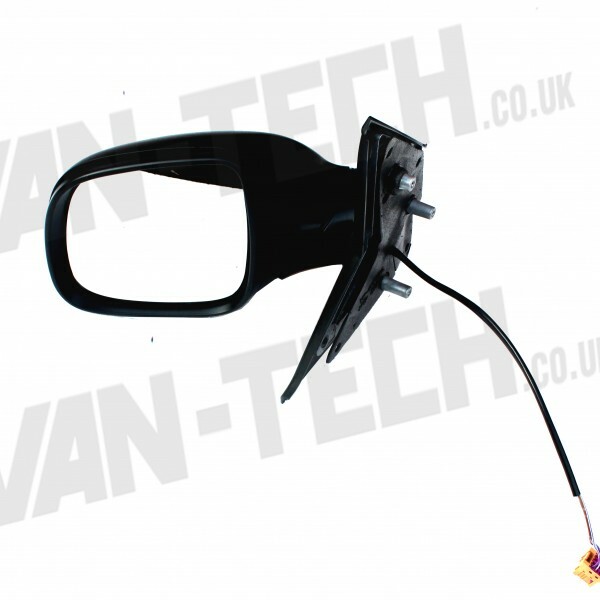 Van-Tech offer a fitting service at our purpose built fitting centre located in the West Midlands. 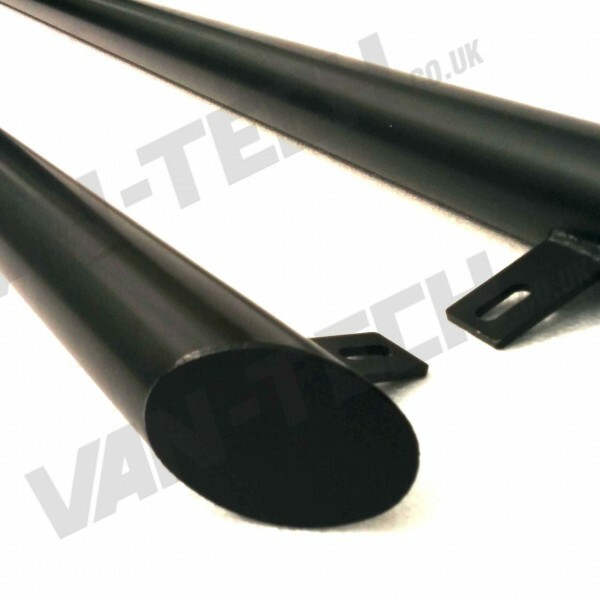 Email sales@van-tech.co.uk to enquire about fitting costs and availability.